The North Wales and Borders Branch of the BWA are based in Johnstown near Wrexham. 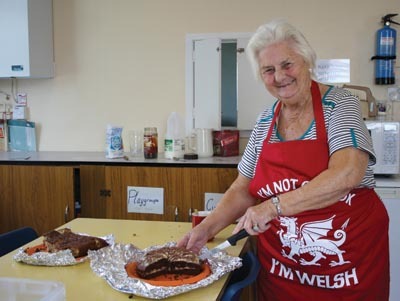 The club is fortunate in having more than its fair share of skilled carvers, a couple of whom, Jack Smith and Geraint Evans, contribute three or four projects between them over the year to keep us going on the hands-on sessions that fill most of the year's packed programme. Jack is our senior member and has the title Senior Artistic Director on a plaque beautifully carved by David Williams, one of two woodcarving brothers, Alun and David, both wonderful carvers. It may have been Jack who passed on a piece of irrefutable logic that if a you spend say twenty pounds on a piece of wood for turning, it is possible that by the end of the day you will have something to show for your outlay, and of course had a few hours enjoyment. But to a carver, that same piece of wood could potentially give you weeks of pleasure. We also take part in several outside events; the most notable of these is a three-week residency at Erddig, a National Trust property in a beautiful part of North Wales. 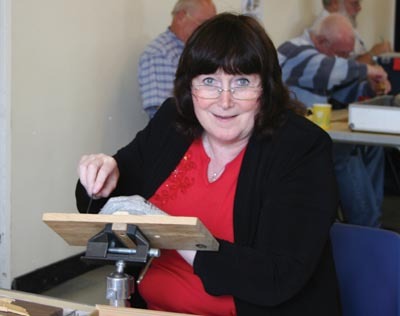 I had been advised to go and have a look at the exhibition soon after taking up carving, and following retirement, moving to North Wales from Manchester. It didn't take long seeing the quality of work on view and talking to the club members before I decided to join. We also have a presence at Malpas in Cheshire each summer. This is a steam rally and all things relating to times gone by. 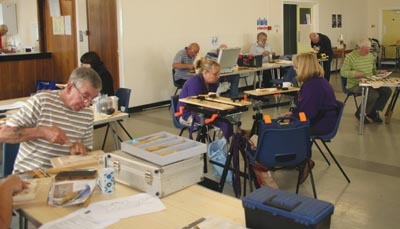 We are one of many of the local clubs who successfully participate in the ever-popular annual Woodfest Wales every June. 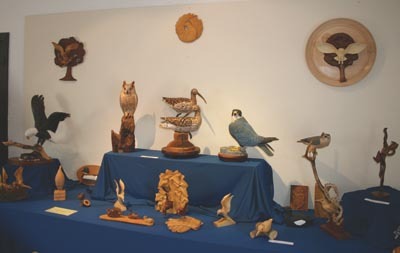 A normal club day is a hands-on, spent working on our current project, but we do have several well-known carvers visit us throughout the year. Some return annually, such is their popularity within the club; people such as BWA Chairman Peter Benson, Michael Painter, Sharon Littley and Clive Griffin. We round up the year's programme with our Christmas party when everybody brings a plate of goodies to share. Last Christmas Jack launched his Christmas competition, the theme being 'childhood', and there was a very imaginative response to this most topical of themes. This year Jack has really set us a challenge with the theme being any character from literature. The scope is endless, but for me the difficult part is coming up with something appropriate and within my capabilities. I can't wait to see the results of this year's task as I'm sure that it will be brilliant.